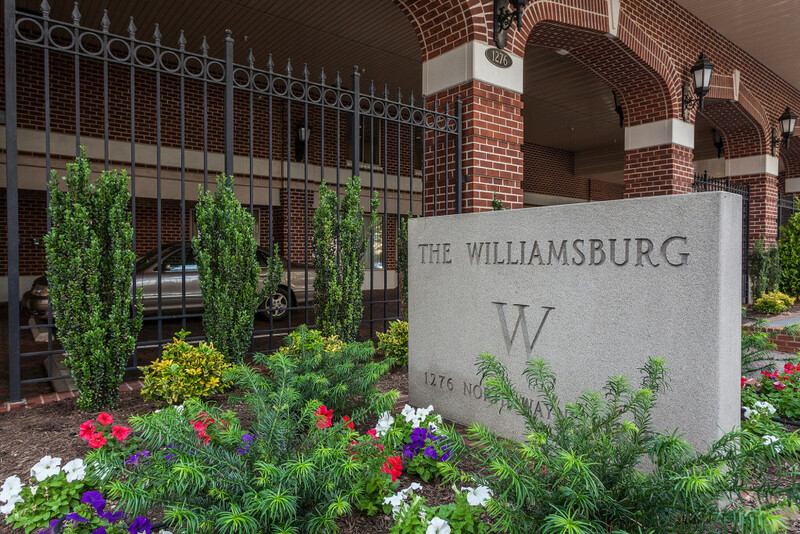 The Williamsburg Condo in 2 sentences: The Williamsburg features large floor plans, great amenities, and a convenient location along Arlington’s Orange Line corridor. Built in 1992, resident’s love The Williamsburg’s solid construction and enjoy taking part in the active community life. The Williamsburg is often considered to be in the upper echelon of condominium communities in the Courthouse neighborhood, and with good reason. For starters, it is located just a five minute walk from the Court House Metro. But since it is on a quiet dead end road, it gets very little traffic compared to communities that are on the main boulevards. Located at 1276 North Wayne Street, The Williamsburg is a high-rise community built in 1992 and features 266 residences on 13 stories. 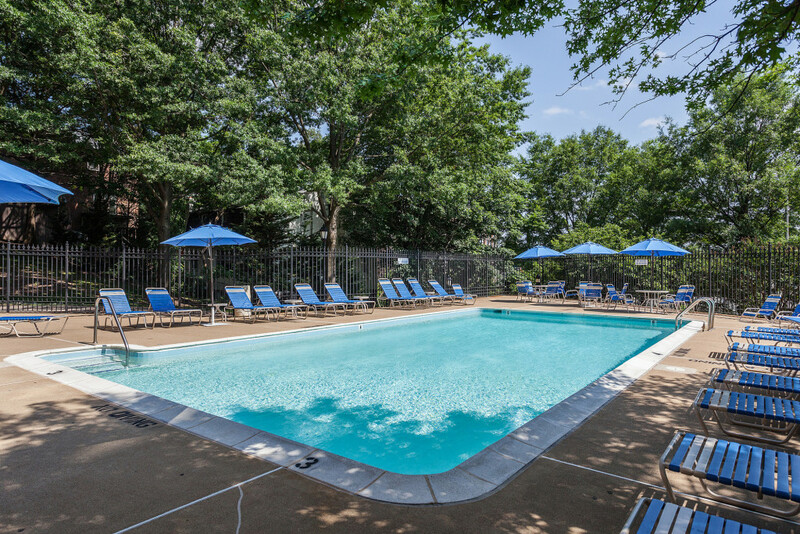 The community was built by Dittmar who has completed countless developments in Arlington and the Northern Virginia area. 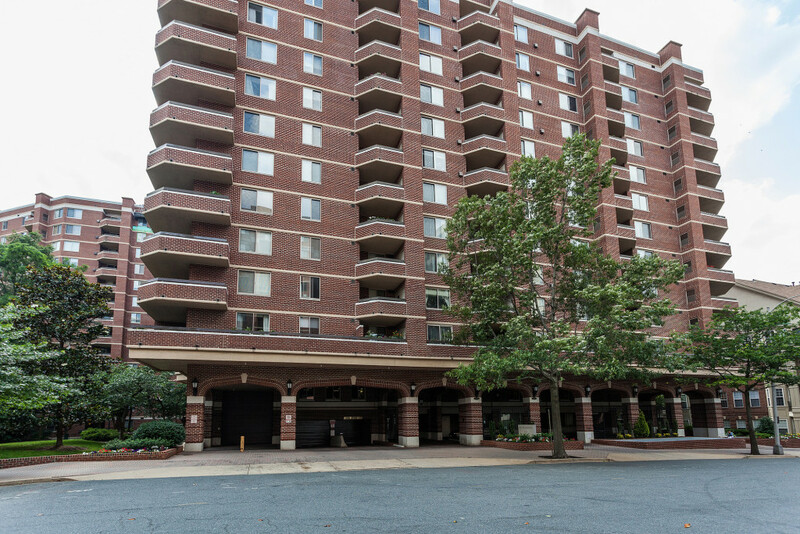 The exterior of The Williamsburg is instantly recognizable as the classic red brick facade exudes classic Arlington construction. Upon entering The Williamsburg, there are few things of note that some may miss. The first is the abundance of guest parking. More and more we are finding that guest parking is disappearing in condos in Arlington but The Williamsburg has a handful of covered spots available right out front. 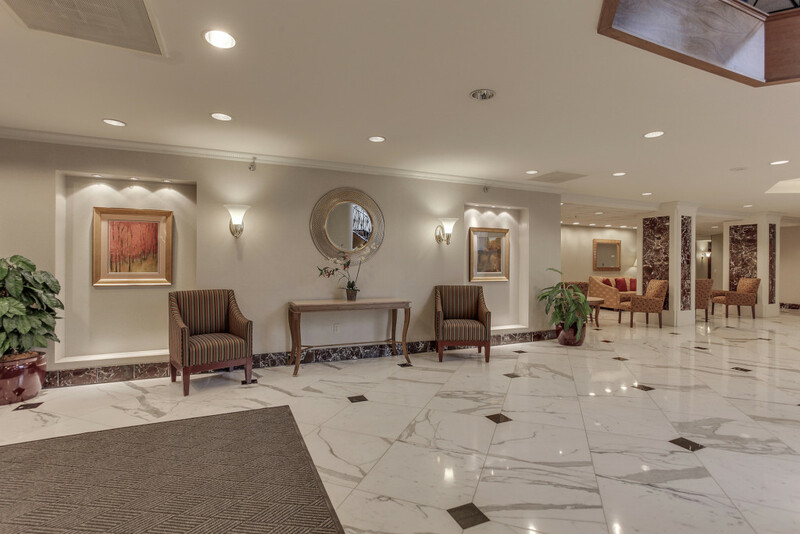 Once you enter the lobby, you are greeted with all-marble flooring and tasteful decor throughout the expansive welcoming space. The ambiance does feel slightly dated, but not so much where it feels like you are walking into a time machine (Woodbury Heights lobby, I’m talking to you). The space is open and laid out efficiently. The front desk is located in this area as well. There is a staffed front desk from 7 am to 7 pm during the week. The fitness center can be accessed by taking the staircase up from the lobby level to the second floor. The gym has plenty of machines; both cardio and resistance, and it is pretty spacious. 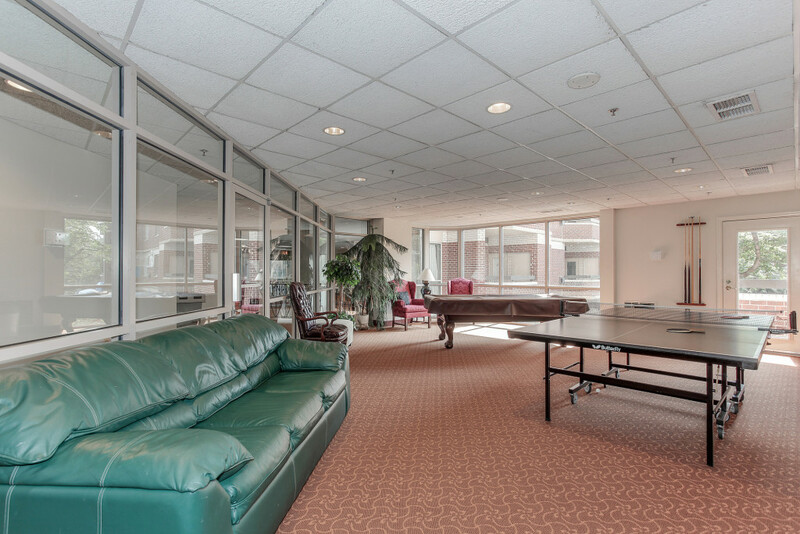 Other amenities include a game room, a party room, an outdoor pool, and a courtyard area. Condos at The Williamsburg consist of one bedrooms, two bedrooms, and two bedroom and den layouts. One bedrooms start at 721 square feet and can get up to 892 square feet. Two bedrooms will range from 1007 square feet all the way up to almost 1,800 square feet for the larger 2 bedroom + den layouts. These floor plans while rare, do come with 2 and a half bath. All the 2 bedroom units come with a second bath which really sets The Williamsburg condos apart from similar communities built in the same time frame. Whether you need the second bathroom for an expanding family, or are considering renting out your condo, the second bath provides a huge amount of value to residents at The Williamsburg. There are a few Williamsburg condo rental units, but they are not as common. Another nice perk is that all units come with a fireplace and a balcony. A fireplace may only be a marginal benefit to some individuals but having an outdoor space is harder to come by. And we are not talking about a small balcony either, balconies at The Williamsburg are a good size and can easily fit a few pieces of outdoor furniture. There are a few minor drawbacks at The Williamsburg Condo Arlington. The first is barriers to entry. Very few Williamsburg condo rental units are available, meaning most new residents will be condo owners. One bedrooms start around $430,000 – $450,000 and two bedrooms will easily come in around the mid $600,000’s. For a building built in 1992, it has retained and grown in value exceptionally well making condos extremely competitive when they hit the open market. Another small drawback is the original green tile that was used. It is now at that point where owners who have been living in the community for a long period of time are looking to sell and they might not have necessarily updated the green marble floors or the green marble around he fireplace that were the original doings when Dittmar first built the development. With that in mind, buyers need to keep a keen eye out for this and understand that although the floor is green (not really attractive) that a small fix here and there can get the condo looking fresh and modern for the changing needs of soon-to-be condo owners. The best part about living at The Williamsburg is the community. 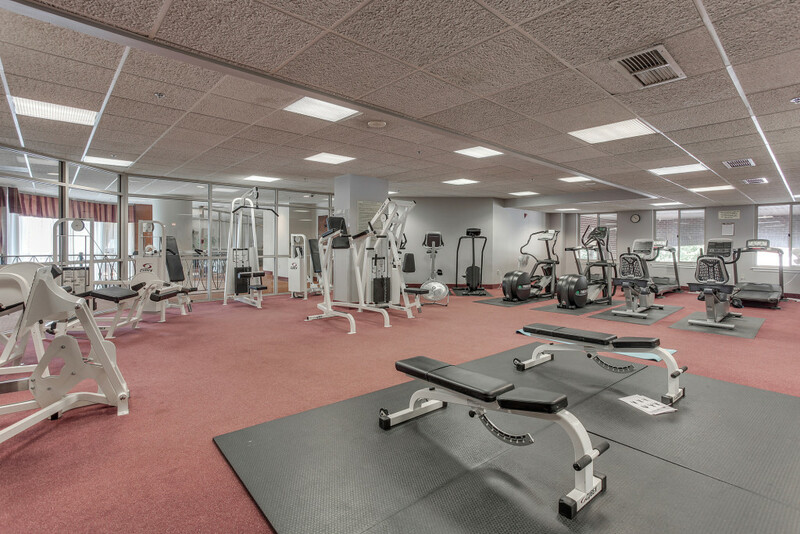 It is a well-run building with great amenities and a great atmosphere. All in all you are situated in a prime location (1276 N Wayne Street) while living in a community with lots of amenities and smart, larger floor plans.